1. Small savings schemes such as PPF, NSC, Post Office accounts etc: Currently interest rates on all such schemes (but one) are still >7%. These schemes are a good option for risk-averse investors who are ok to lock-in your funds for the required period of time. While technically interest rates on these investments are now market-linked and reset quarterly, what we have noticed in the last 2-3 quarters is that the government has been reluctant to cut rates on these schemes even as market rates have come down making them less volatile interest rate investments. 2. Liquid funds: Liquid funds invest in short-dated instruments (>90 days to maturity), provide the same liquidity as current account but interest rates are closer to FDs since there is no bank in the middle. For instance, according to RBI data in the last 10 years, savings accounts have returned c. 3.8% p.a., FDs have returned c. 8.25% p.a. and liquid funds have returned 7.84% (category average, Morningstar). These FD rates are now in 6.5-7% range, and we should expect liquid funds to return around 6-6.5%. However, 6-6.5% is still significantly more than the bank savings account interest rate. 3. Arbitrage funds: These mutual funds use equities and equity futures contracts to give returns, which are extremely similar to liquid mutual funds. So over the last 10 years, the average arbitrage fund has returned 7.74% p.a. (category average, Morningstar). But because arbitrage funds are invested in equity instruments, they are taxed like equity mutual funds. So for somebody in the 30% tax bracket, if they hold an arbitrage fund for 12 months then a 7.74% return is like earning 11% on your bank deposit. Do note that like liquid funds, returns on arbitrage funds will be lower going forward around 6-6.5% post tax or 8.5-9% pre tax (30% bracket). 4. Convertible Debentures/Corporate Fixed Deposits: With an FD, you are lending money to your bank. With NCDs and Corporate FDs you lend money to a company. Because lending to companies is considered to be more risky than banks, therefore such instruments are paying higher interest rates than bank FDs of similar maturity. However, there is a very real default risk which exists with lending to companies and which does not exist with bank FDs. As a result, while investing in such instruments, investors need to either do adequate research or they can consider investing in mutual funds that invest in such instruments (See #6). 5. Tax-free government bonds: These bonds are issued by government-backed entities on which the interest is tax-free. Because of the tax-free status, interest rates on these bonds are slightly lower but typically for people in the 30% tax bracket the post tax returns still work out to be higher than FDs. Due to an economy-wide lowering of interest rates, yields on tax-free bonds have already come down, but they may still give slightly higher returns than FDs for those in the higher tax brackets. If investing in tax-free bonds, do note that the liquidity in these bonds is quite low, so you should be prepared to hold them to maturity. Alternatively investors can also consider long-term gilt funds (See #6). 6. Debt mutual funds: Investors can hold corporate debt or long-dated government of India debt on their own or through debt mutual funds. Debt mutual funds are of two kinds. First are the income funds/accrual funds/credit opportunities funds. These hold corporate paper which pays more interest than FD of similar maturity due to higher credit risk. They will give good returns (and do better than FDs) as long as the underlying companies whose bonds they hold do ok and do not default. 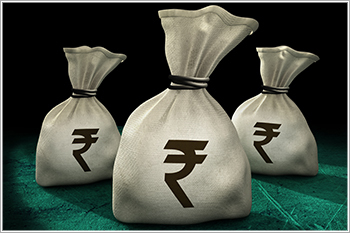 The second kind of debt funds are Long-term Gilt funds which hold longer-dated government debt. These funds have 0 credit risk because the borrower is the government. However, they pay more interest because money is being lent for a longer period of time. Also price of the debt goes up (giving you capital gains) if interest rates come down. As long as your expect interest rates to continue falling or at least not rise substantially, you can consider investing in these funds. 7. Equity mutual funds: Investors willing to take more risk can invest in equity mutual funds. Typically when interest rates come down, equity markets do well as both consumers and businesses are able to borrow on more favourable terms. For investors used to FDs, investing in equity fund may seem very risky but most retail investors will be surprised by how safe they invest. Perhaps the current low in interest rates can be a good opportunity to start investing an amount (howsoever small) in equity mutual funds. First time investors can look at large cap diversified funds which invest in the biggest companies on the stock exchange and are hence considered to be the safest among equity funds.